"Mom, what happened at the farm today?" She doesn't want to hear about the how I efficiently fed and watered six horses, three cows, three sheep, three goats, seven pigs, a large flock of chickens and one cat. She doesn't care that I finally, after six months, figured out how to pick a stall without wasting sawdust and flinging poo over (rather than in) the wheelbarrow. She doesn't want to know that I no longer have a fear of retrieving eggs from under ruthless, overprotective hens and their pecky beaks. No, Lily, with a glimmer in her eye and a smile tugging at the corner of her mouth, doesn't want me to tell her about things going right. 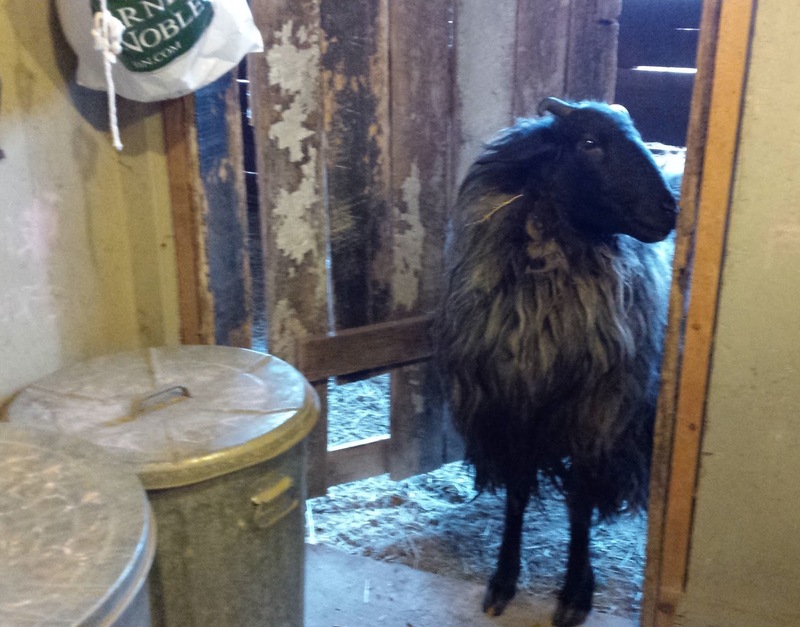 She wants me to tell her that I forgot to shut the door to the feed room door, allowing the pigs to feast on apples intended for horses. 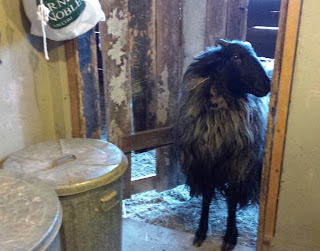 She wants me to tell her that Annabelle the sheep escaped from her pen forcing me to lamely chase her up and down the barn aisle because she's was surprisingly nimble and evasive for a frumpy looking Karakul sheep. She wants me to tell her that Alli the horse farted on me (again) while I was giving her water. Lily celebrates shenanigans. Minor catastrophes. Little annoyances. It's the root of her bubbliest laughter and her most infectious glee. She makes me want things to go wrong. Well, maybe not totally wrong. But at least harmlessly not right. Because when things go harmlessly not right, I get to see that smile. 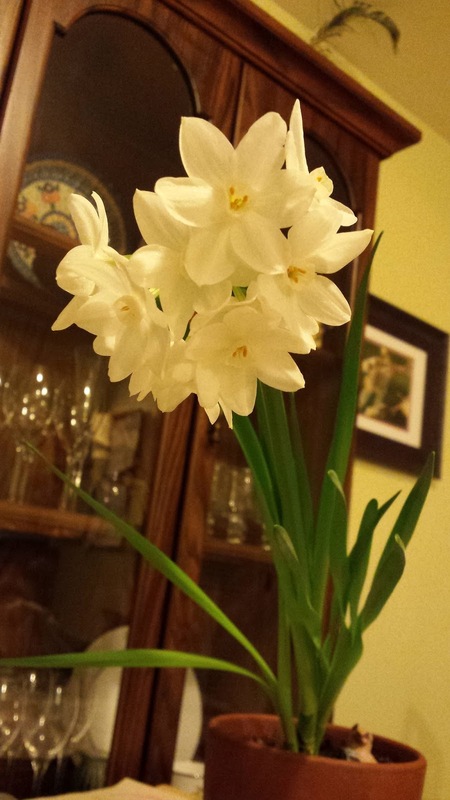 And that's finding a bag of M&Ms and a fresh cup of hot coffee with a friend and warm wool socks and the day the paper whites your mom gave you for Christmas finally bloom. I've been thinking a bit about when things get broken lately. Or when they're not quite right. Just off or a little uncomfortable. The the perfect things and perfect moments are just so fleeting. Like a snowflake melting on your windshield. There to appreciate in one breath and then gone. More often we're left to unearth our happiness from these grimy, dark places. Brad and I have seen this in our marriage recently. There has been anxiety and frustration and anger. There have been cracks we couldn't have predicted seven and a half years ago when we said our vows. "I feel like I'm looking at you and the girls and feeling like it's all very fragile. And I want to hold you all tight and never let go. But also, I want it to be comfortable, like ... to be in a place where it's not tender or fragile, but confident and comfortable and steady. Not stagnant, but steady and settled." I've realized lately, that it's critical to recognize the fragility of ourselves and our relationships and our communities and our earth. It's only when we recognize each other as breakable that we start to be more careful, right? I told Brad that I believed the foundation of our relationship was strong because we also know it's fragile. Like so many things, it's both. Steadfast and fleeting. Delicate and resilient. Enormous oak trees gather the light that allows them to survive the winter through leaves that brown and whither by November. The things that walk this wire are the most beautiful. But you only get to witness them at the point when they're near breaking or broken. And then you might dig up something even stronger in the wake. Lily loves to listen to Adele. "You can sing like Adele," I told her. "No, I can't," she told me. "My voice is too scratchy." When she told me this, my heart fell. So self-conscious and only 5 years old. But Lily, I said, Adele's voice isn't perfect always. It cracks, too. In fact, I told her, one of my favorite parts of one of my favorite songs by Adele is when her voice gets a little ugly. The very end of "When We Were Young" when she sings, "Oh I'm so mad I'm getting old / It makes me restless" and you feel her fury and heartache through the shattering of her voice. It's true that messes can be frustrating and exhausting. That when things break it makes us feel sad and angry. Lost and afraid. Unsettled and adrift. All those negative things that make us want to crawl into bed, pull the cover over our head and never come out. But, just like joy and silliness, these moments of tension are what shape us and give us depth. They're the tinder for the fire in our souls. And without them, we're less alive. My 5 year old taught me that. * Brad said it was OK for me to share this. Then he said he felt like it was a little bit like being naked in public. Then I said, "Nah, it's just like being naked on the internet." It's what I do. Metaphorically, of course. And for those who worry, we are all just fine.